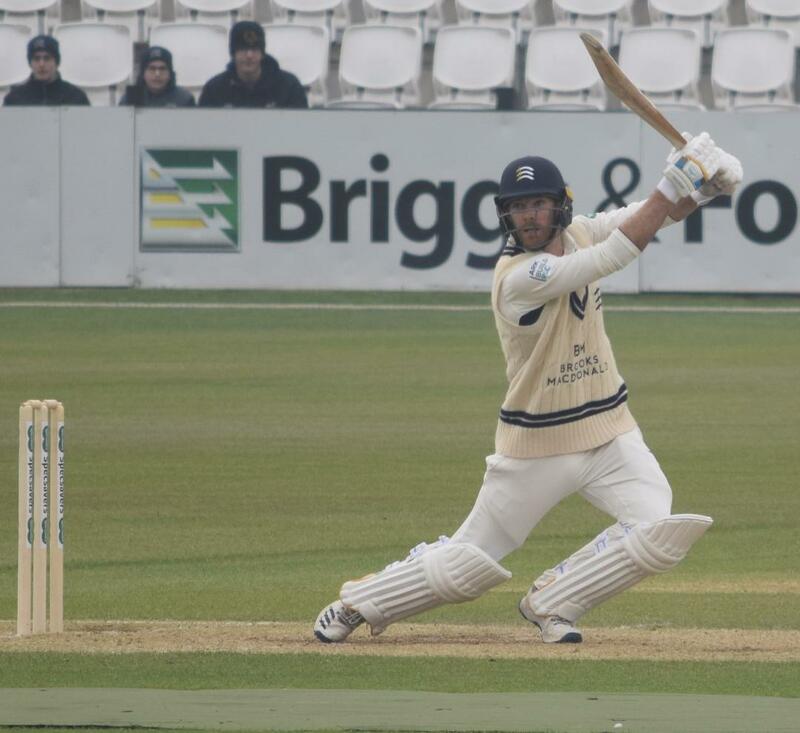 Kev reports on a better day for Middlesex. We hear about his reluctance to turn up and his dodgy fielding skills. This is my first planned day of the 2019 cricket season. Normally this moment I will have a spring in my step and raring to go. For obvious reasons given the previous day, I was lethargic. So much so, I caught the 11.06 from Harrow, which would result with planned walk in me arriving at The County Ground just before lunch. From the comfort of train we survived the first hour. I arrived at Northampton Station just as TRJ out. I decided to catch cab in hope I would witness us achieving a bonus point, but we made 200 while in taxi. Good to see on arrival floodlights on, unlike last season, otherwise no play today and possibly less the previous two days. The first shot I saw as I walked in was edged 4 in my direction that went over rope. Straight to me, I misfielded then chased the ball to turnstile and threw back to Northants fielder. Then I hear we are -2 on the over rate , which we cannot get back. Welcome Kev to the 2019 season. Before lunch, I was glad I witnessed the Harry, HiFi 50 partnership, 2nd batting point and Harry’s 50. We survived to lunch 253-8 and was relieved there was no extra half hour. I felt I should have got here earlier. As back from liquid lunch keen to watch our effort to avoid follow on. 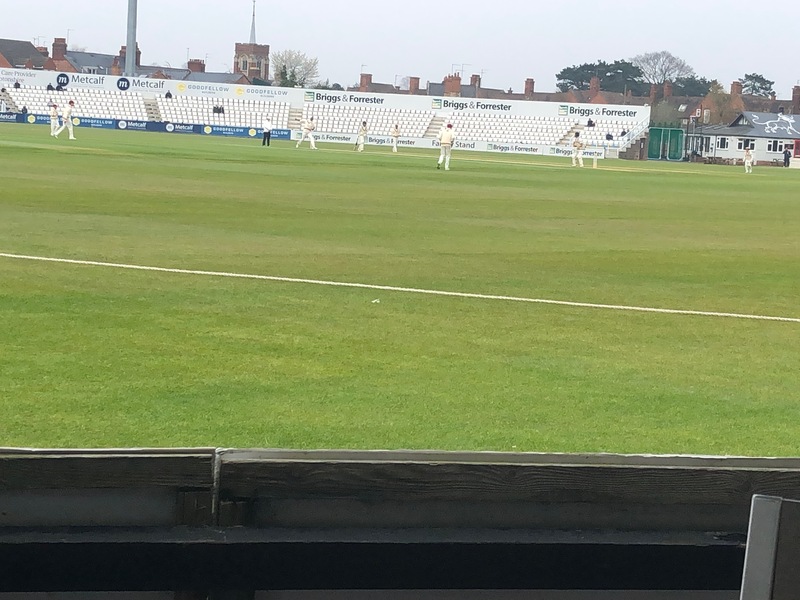 Witnessing from same place as my fielding error Finn was well caught at slip Holder holding on. Murts making me realise why is no 11 spoons catch. Follow on is enforced. This is our only chance of a win. We are suddenly 10-2. It’s all gloom and doom. Mala and Robbo consolidate. There was a downpour and was not expecting any more play after the early tea. On the off chance of play I return to ground with Rogers and Out. There was hardly anyone left but was play on just after 4.30. We looked in no trouble as we survived to more rain enforced close 1 short of century partnership. Who knows what lies ahead tomorrow? Wake me up when the season ends. Edited 1 time(s). Last edit at 2019:04:10:18:32:56 by BarmierKev.